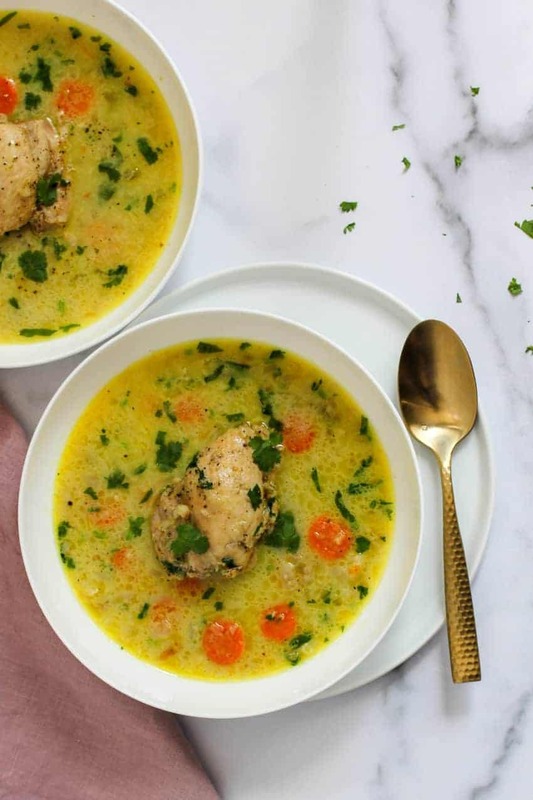 Chicken Mulligatawny Soup – A restaurant favorite, South Indian soup cooked with coconut milk and spices that leaves the taste buds longing for more. 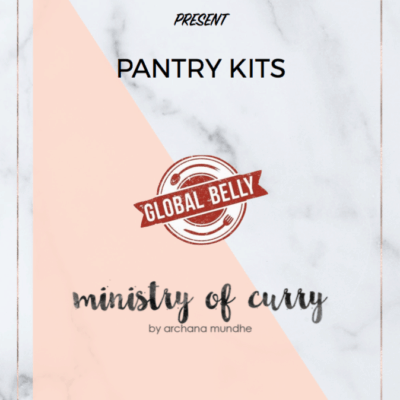 The name Mulligatawny originates from the Tamil words “milagay” or “milagu” meaning pepper and “tanni” meaning water, which literally translate to “pepper-water”. 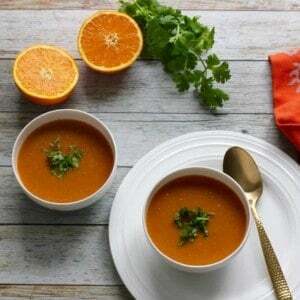 The soup is similar to “Rasam” which is a versatile spicy soup that is popular in southern India. 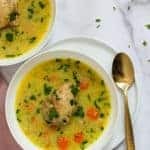 Mulligatawny soup became very popular with the British when England occupied India and eventually made its way to many Indian restaurants in the UK as well as the US. 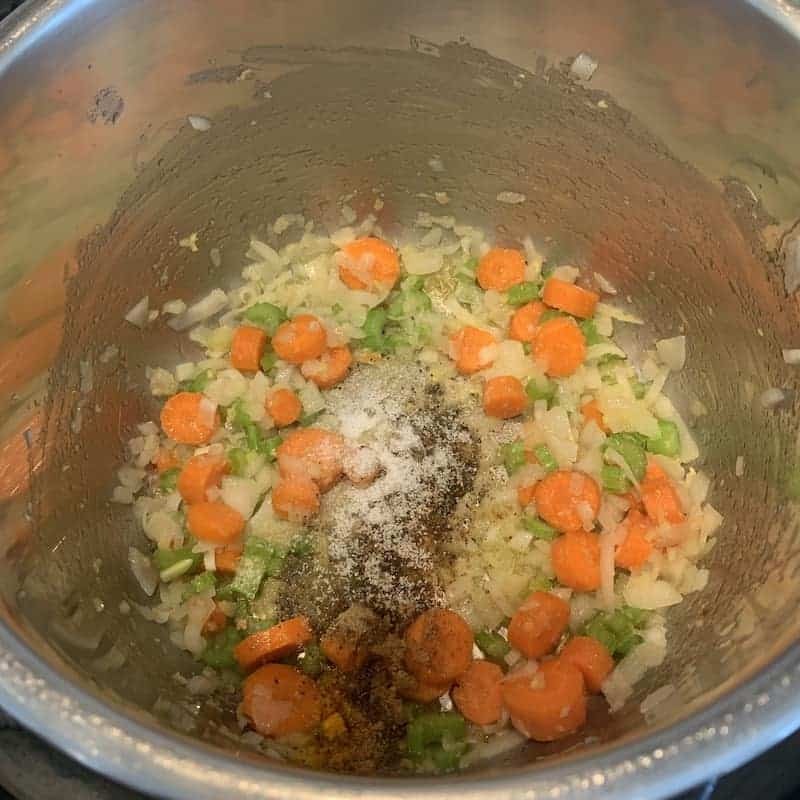 It wasn’t until I moved to the US that I was introduced to it because most Indian restaurants have this soup on their menu. Since then I have enjoyed it many times. I have also devoured the original south Indian version of this “pepper-water” soup at my friend’s home. I recently had the pleasure of meeting Dr. Karen Lee an accomplished holistic practitioner, and a former doctor of chiropractic medicine. Dr. Lee started cooking Paleo-friendly foods for her family years ago to help with food allergies, and they began their Ketogenic (Keto) journey to further control inflammation and weight gain. 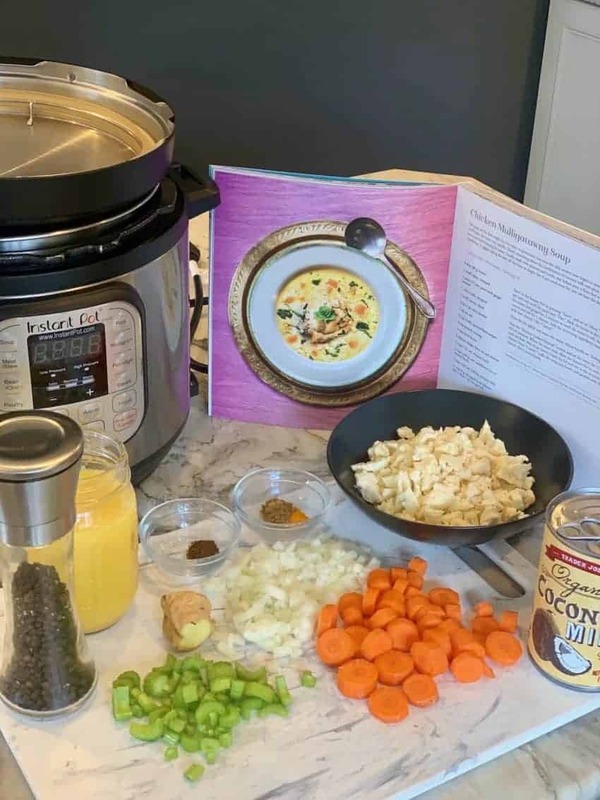 With the Instant Pot, she was able to turn family favorites that used to take hours into fast, stress-free meals. 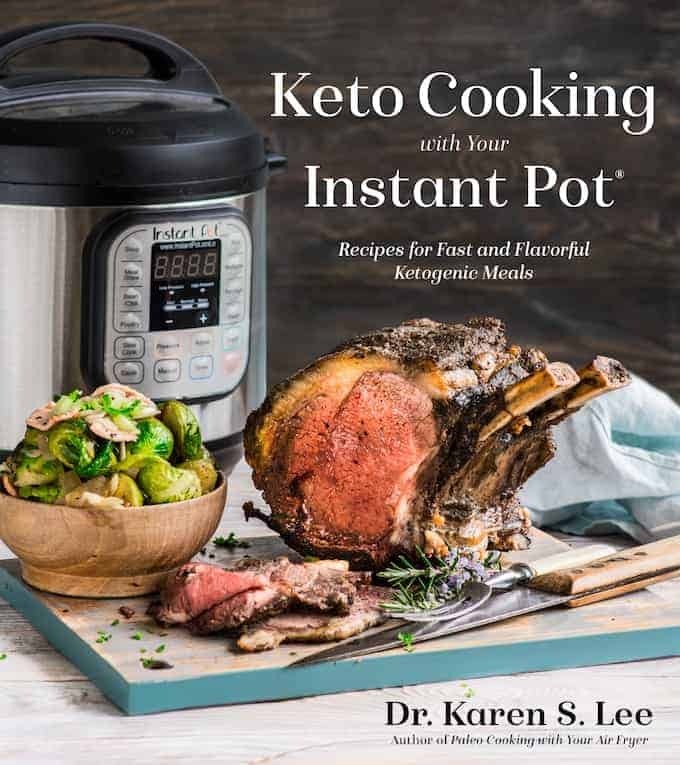 She has since published to two cookbooks – Paleo Cooking with Your Air Fryer and Keto Cooking with Your Instant Pot. I love that both these books have so many well tested recipes that are healthy and delicious at the same time. 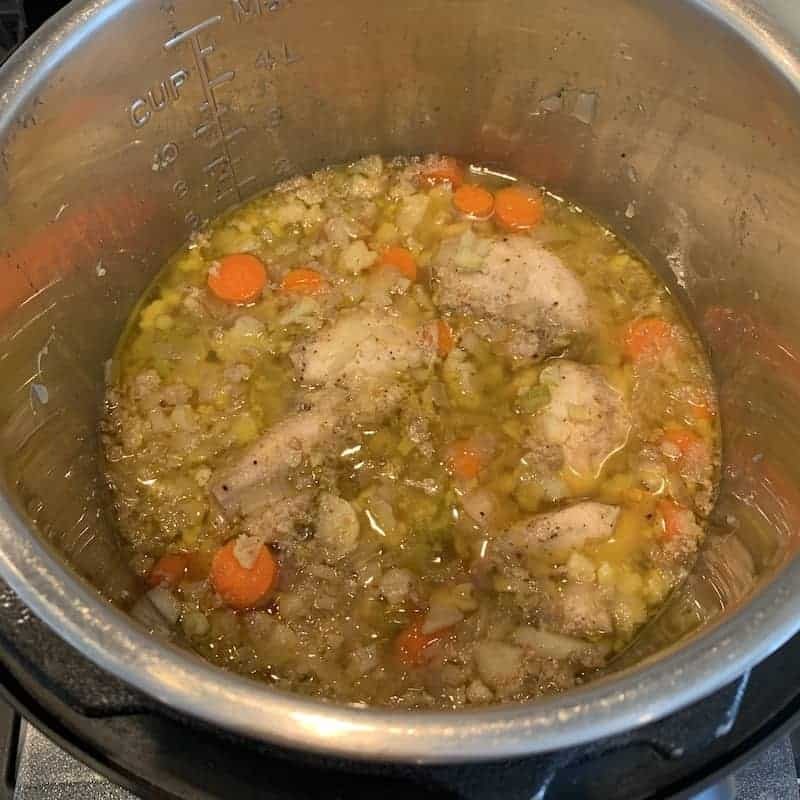 When I saw the recipe for Chicken Mulligatawny Soup in her Instant Pot book, I couldn’t resist trying it out immediately as not only did it look tasty, but I also had most of the ingredients in my pantry, except curry powder which I substituted with garam masala, cumin powder and turmeric. 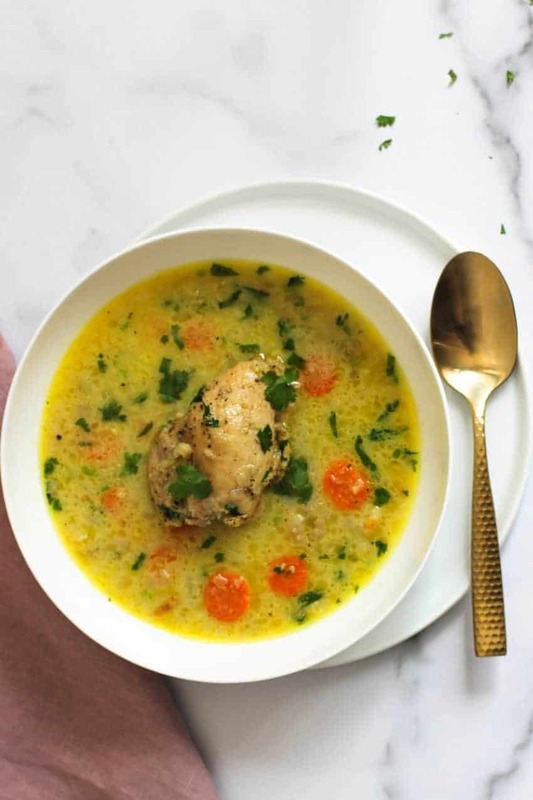 Traditional Chicken Mulligatawny Soup uses ingredients like lentils, potatoes, flour, rice, heavy cream, etc… to add creaminess to the soup. I love that this low carb version uses cauliflower rice and coconut milk to add the same silky creamy texture. Spices such as black pepper, curry powder, nutmeg and thyme that Dr. Lee uses definitely leaves our taste buds longing for more. 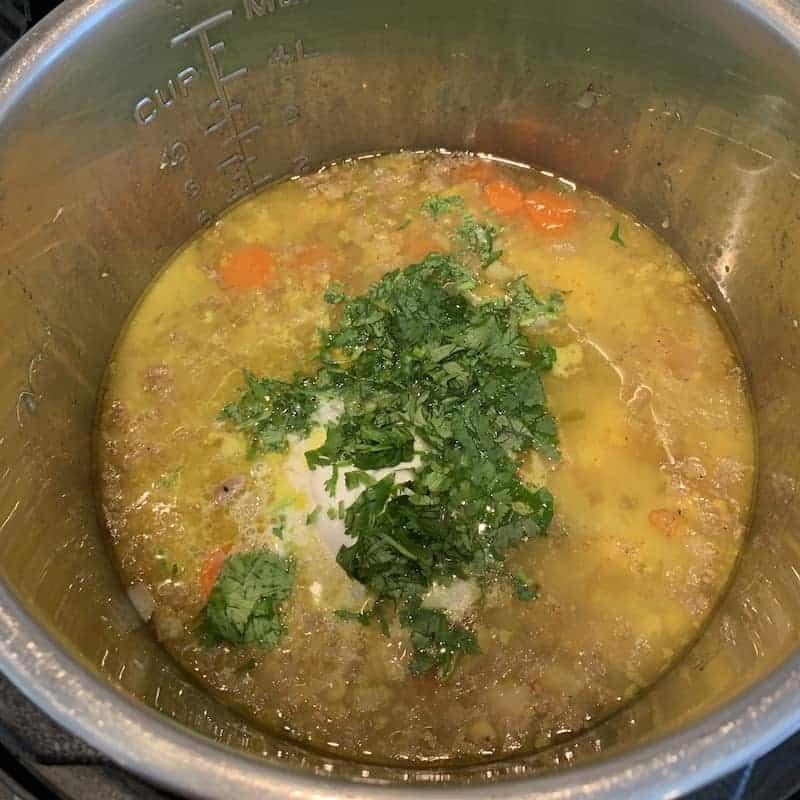 Turn the Instant Pot to Saute mode and melt ghee. Add onions and ginger and saute for 2 minutes. 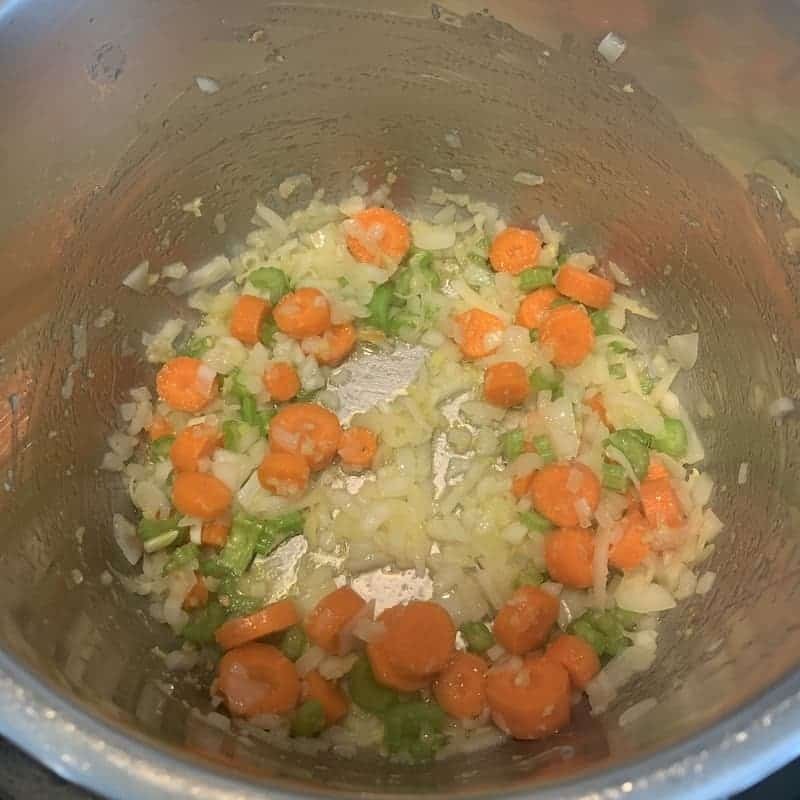 Stir in celery and carrots and cook for another 1 minute. Add remaining ingredients except for coconut milk and cilantro. Hit “Cancel”. Close the Instant Pot lid and turn the pressure valve to sealing. Set the Instant Pot to Pressure Cook/Manual(Hi) for 10 minutes followed by 10 minute natural pressure release. Release the remaining pressure by turning the pressure valve to venting. 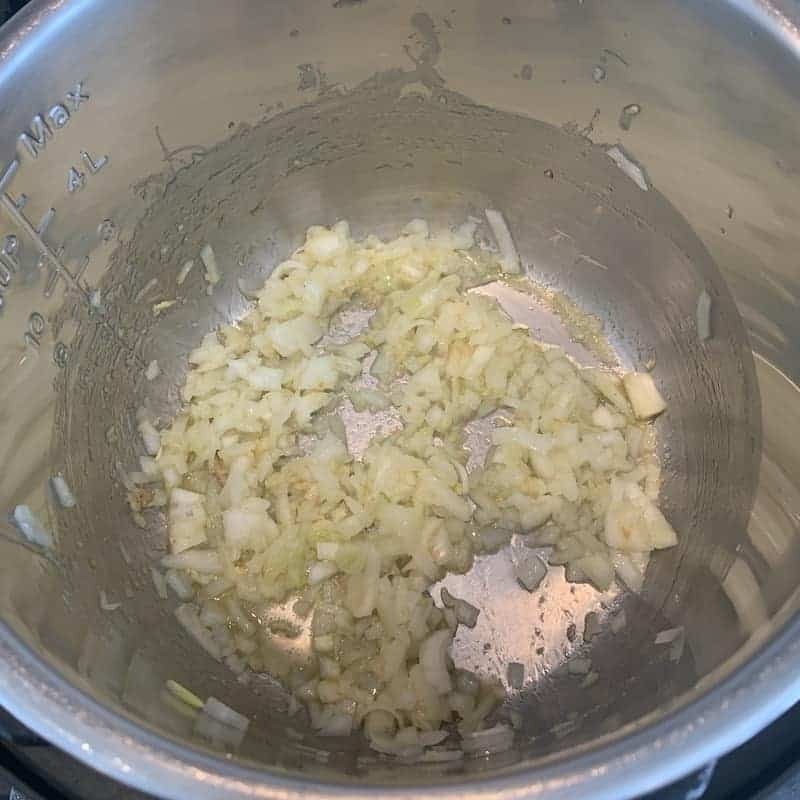 After the float valve drops down open the Instant Pot. Stir in coconut milk and cilantro. 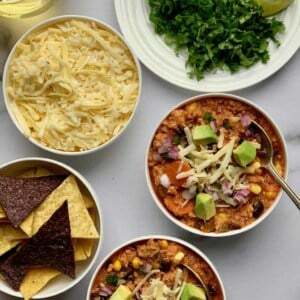 Laddle the soup into bowls and garnish with more cilantro and black pepper. 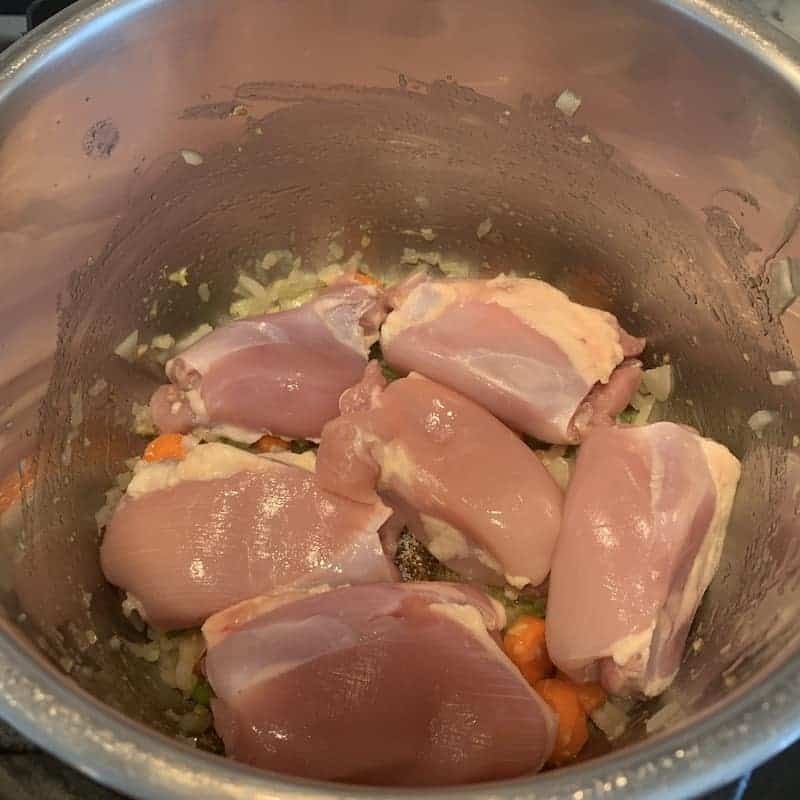 Optional step – You can also shred the chicken using forks and add back into the soup. 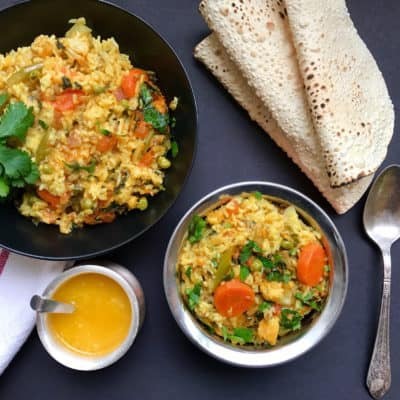 Flavourful low carb South Indian Soup made with coconut milk and spices that is keto-fied with cauliflower. Add remaining ingredients except for coconut milk and cilantro. Hit "Cancel". Close the Instant Pot lid and turn the pressure valve to sealing. Set the Instant Pot to Pressure Cook/Manual(Hi) for 10 minutes followed by 10 minute natural pressure release. Release the remaining pressure by turning the pressure valve to venting. After the float valve drops down, open the Instant Pot. Stir in coconut milk and cilantro. 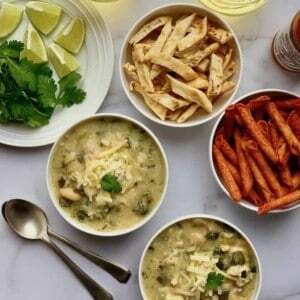 Laddle the soup into bowls and garnish with more cilantro and black pepper. 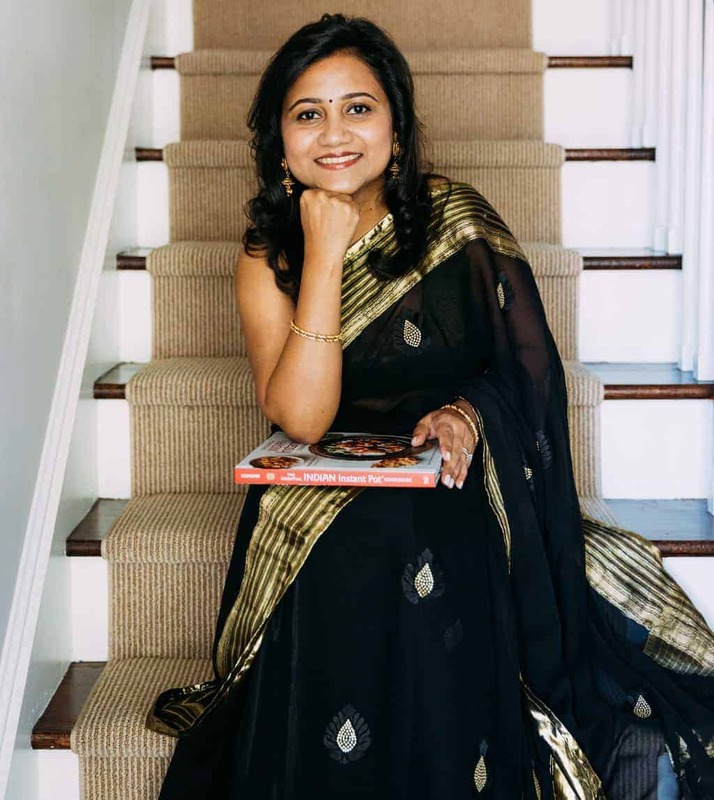 Hello Archana! 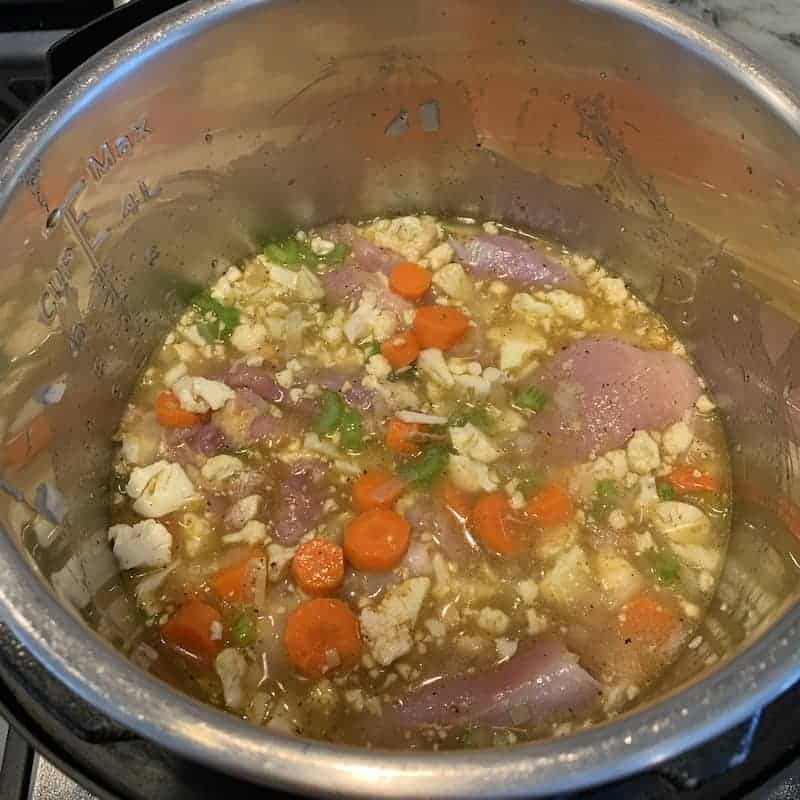 Once again you have posted another amazing recipe! 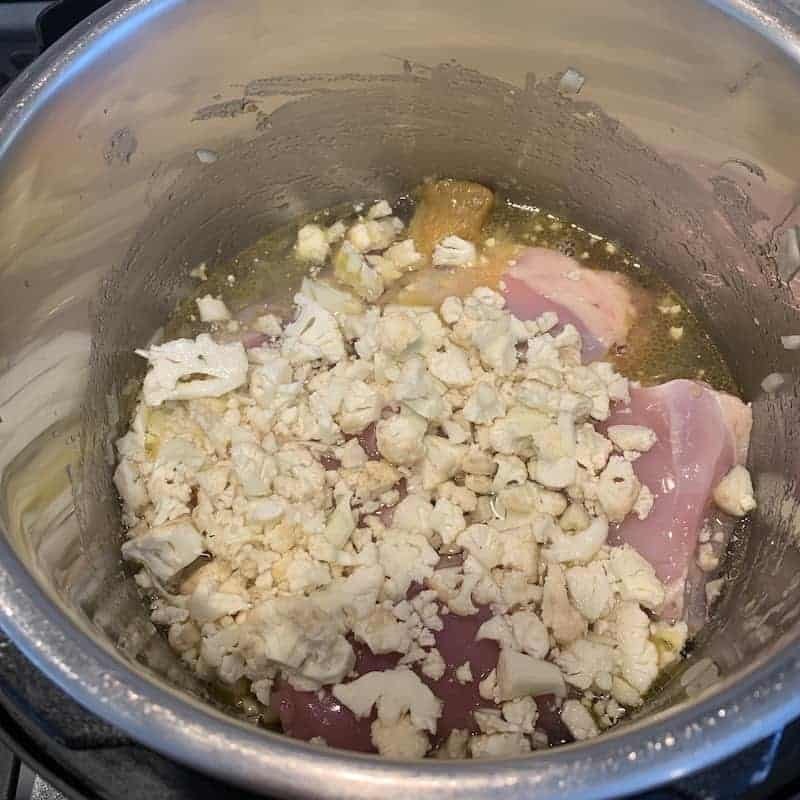 I cannot wait to try it but I wonder how it would be made not quite so “keto” Would I add a bit of uncooked rice and add more l;liquid to thicken it or possibly add cooked rice at the end? What about potatoes? I love all the ingredients but wanted to make it a bit thicker or creamier for my hubby. This sounds amazing. For whatever reason, I was under the impression Mulligatawny was a vegetarian thing. Obviously, I had been misled and deceived! Not being a vegetarian, this sounds MUCH better. I don’t have an instapot thingie, so, I plan on just simmering for 40ish minutes at step-2. Thank you for posting. 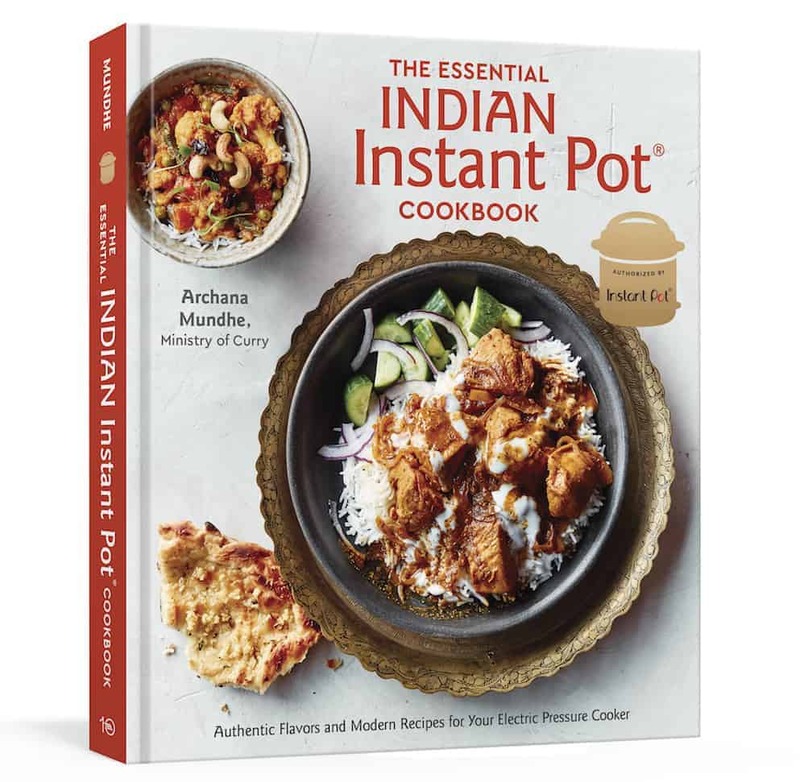 Yes, should work great without Instant pot too! This looks delicious. I’m looking forward to making it this weekend.